Dear readers, I can’t believe it’s already mid March! I have so much to share with you, that I’m not sure where to start. So, in no particular order I shall mention some of the highlights of the last few weeks and the coming few months. Whenever I run a darning class I show my hand-knitted socks that I have darned. For all of you who have asked if I will teach sock knitting, I can now say: yes I do! My first sock knitting class is in April, run over three consecutive Sundays (14, 21, 28 April). I will expect participants to do some “homework,” but as this involves knitting, I think it could be worse. You can book here and find more details. This class is aimed at the confident beginner, who already knows how to cast on, cast off, increase and decrease. Learn to knit in the round, turn heels and graft toes. Darning is really taking off, and I will be doing quite a few events in the next few months, spreading my love for darning and mending. First of all, I will be at Wool House at Somerset House, London, for some drop-in darning this weekend (16, 17 March) and a darning class on Friday, 22 March. All for free! Wool House showcases some different uses for wool, and promises to be spectacular. 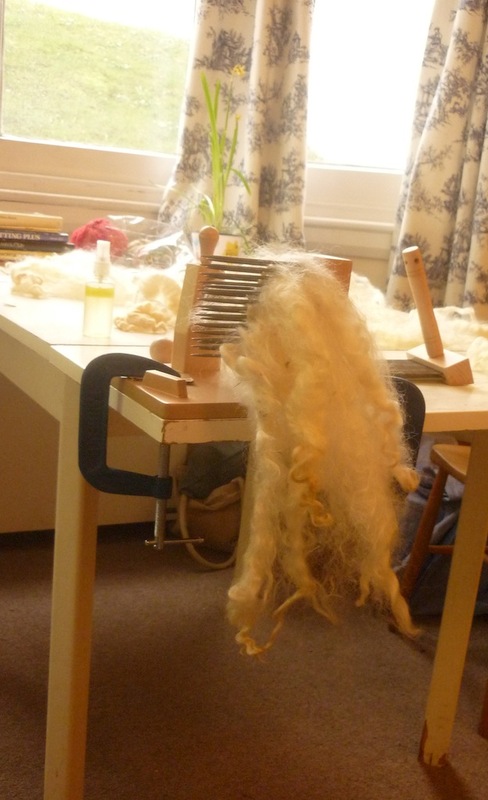 Check all Wool House events here, including my darning activities. 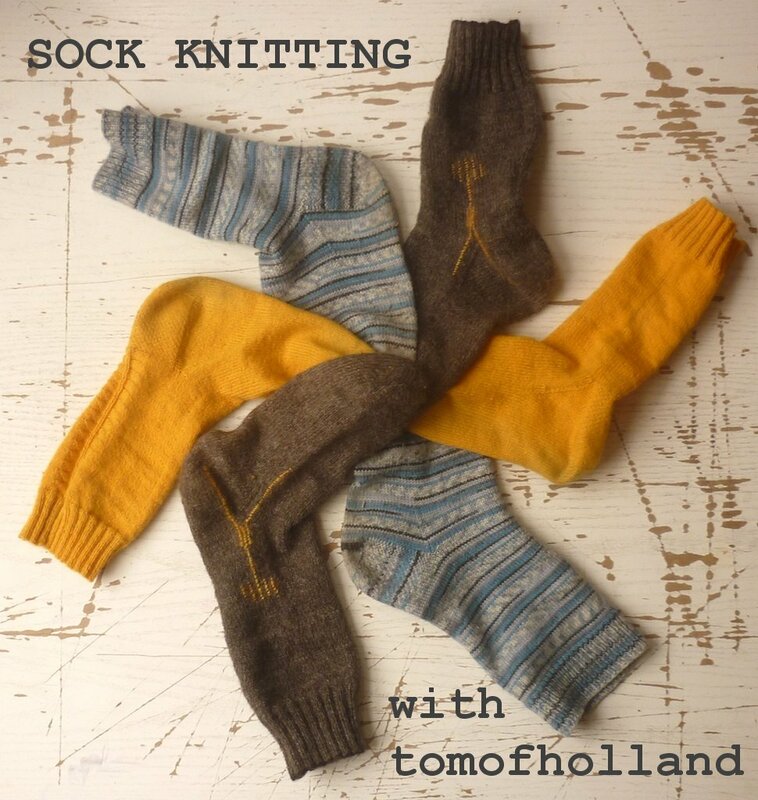 Secondly, I will be doing my regular Super+Super HQ darning class on Friday, 10 May. You can book for this event here. And for those of you who wonder: although these techniques are used for knitwear repair, no previous knitting experience is necessary. Still there is more! Third and fourth mention go to two one-day darning workshops. These run from 10am-4pm and are a more informal affair. I will introduce the concept of Visible Mending, show examples of various techniques, and then we’ll discuss everybody’s repair needs. Then we will all just pick up needle and thread and start mending! I will be at Hope & Elvis, in Worksop, Nottinghamshire on Saturday, 4 May. This event is now sold out. I will be at The Stitchery Studio, Glasgow on Saturday, 18 May. Find details here to sign up. 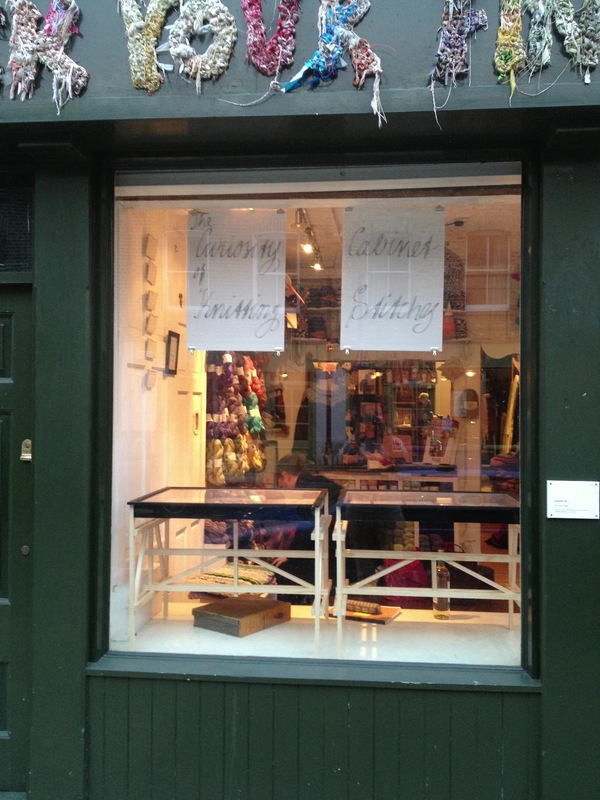 Crafty Magazine interviewed me about The Curiosity Cabinet of Knitting Stitches. It’s a new magazine and it will also feature male crafters, because we do exist! And I haven’t even started taking pictures of my machine knitted swatches. My friend Amy Twigger Holroyd, who runs the fashion label Keep & Share, and who is working on amazing PhD research, invited me round to her studio for an introduction to machine knitting. Despite my initial prejudices, I really enjoyed it! I hope to do more in the near future. And more darning. Yes indeed! If all this wasn’t enough, I went to the first Brighton Repair Café a few weeks ago. The Repair Café Foundation was originally founded in Amsterdam, The Netherlands, but has gained huge momentum and has gone global now. I first heard about it at the MendRS Symposium and I was so glad to see that we now have one in Brighton, too. I think I’m done sharing for now. 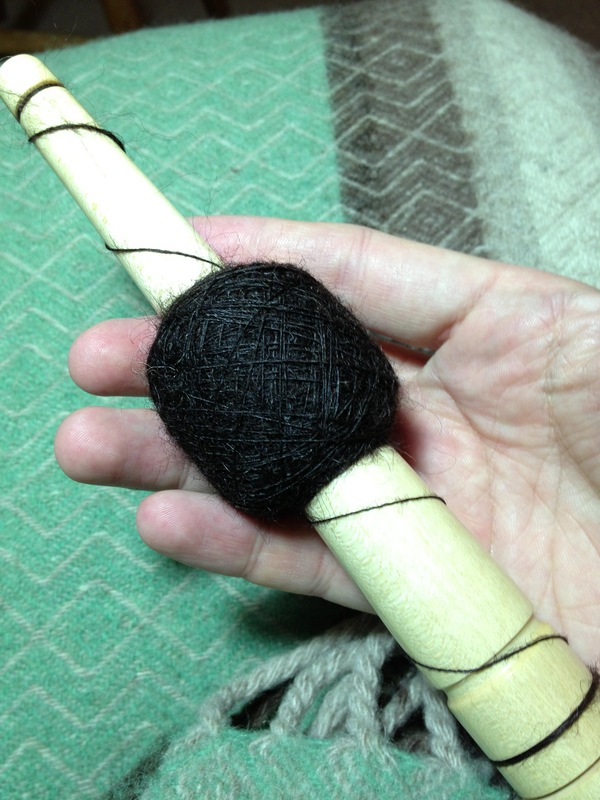 I hope to see you at one of my sock knitting or darning classes or at Wool House. I hope you have all been creatively occupied, too, with exciting new projects! So exciting! Hope to find some time to pop in and say hello at Somerset House, Tom. Colleen, that would be great if you did! And bring something to darn! on March 13, 2013 at 9:44 pm | Reply Kata. All the spinning looks lovely! I found holes in both heels of my oldest boot-socks last week, and thought of you IMMEDIATELY. We must know so many people in common now – Cecilia Hewitt is one of my biggest customers, and a good friend. Do let me know when you’re next coming oop North. I need to learn how to darn. I haven’t made very many socks yet, but eventually I’ll have to do some repairs as much as my husband wears them. Ooh, reading this blog post has made my day!!! Apart from all your lovely and fascinating stuff about hand knitting and darning etc. etc. 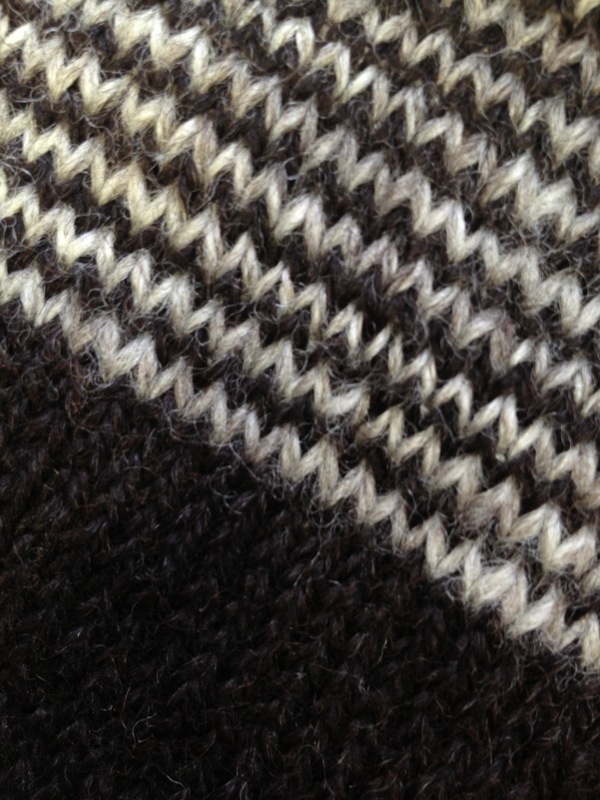 I read that you are learning how to machine knit – so am I (in addition to sewing and handknitting and generally making anything I can). 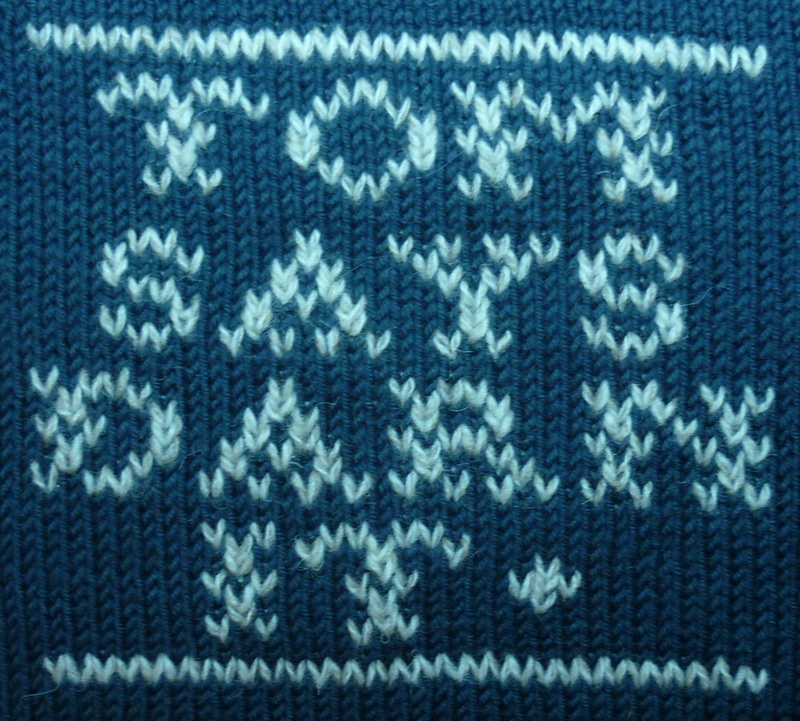 And I love what Amy Twigger Holroyd is doing – I think she’s a breath of fresh air in the world of machine knitting (which has a rather fuddy duddy air……). I started learning this year on a borrowed punchcard machine but have now bought myself an LK150, which is a very simple machine. I am learning with a combination of ancient books, youtube, and a yahoo knitting group. Can’t wait to see your swatches!!! A big huggy YAY! here from two male crafters (and knitters). We have had some mighty strange responses to being blokes who craft so we must say Hi to crafty magazine. Hurray for male crafters and knitters! I’ll come say hi whenever you’re next at Craftaganza in Brighton.